What is a Medley ID? Medley IDs are the crucial first step in bringing Super Plexis to multiple platforms. As our own custom account system, making a Medley ID means you can sign in to any version of the game on any device and your progress moves with you. It also enables cross-play across all platforms! All players, regardless of device or OS, can play together. For more info check out our blog here. Be sure to "Opt-in to beta test current and future releases" when you create your account! Your Medley ID is your ticket to joining the upcoming Android beta (more info on a release date coming soon) and you'll be notified the moment it goes live. Competitive puzzle gaming at home or on the go! Super Plexis is a multi-platform action puzzle game inspired by classic console puzzlers. Test your skills online against friends or similarly skilled players in matchmaking. Earn rankings and unlockables along the way! The more you play, the more options you have! 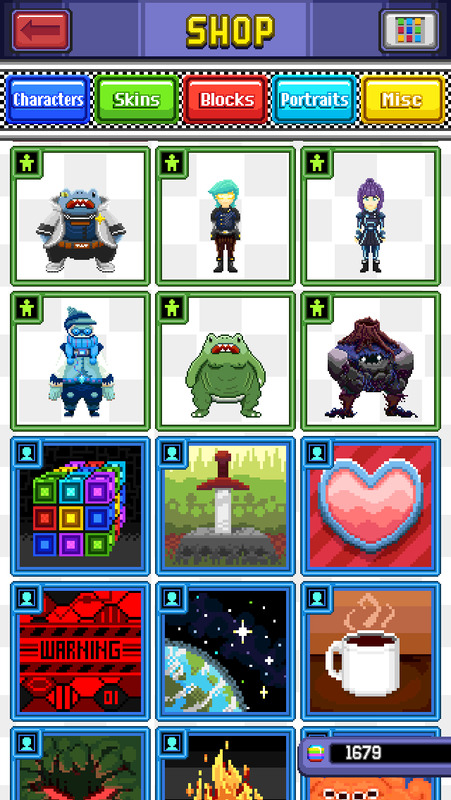 Unlock characters, blocks, portraits, and more by spending your hard-earned Lumina in the shop. Check out our Instagram for a behind-the-scenes look!